Arguably the two main contenders when deciding on a heating system for a property, underfloor heating (UFH) and radiators each offer their own benefits. Both perform well and can work in a wide range of projects, from new builds to renovations. 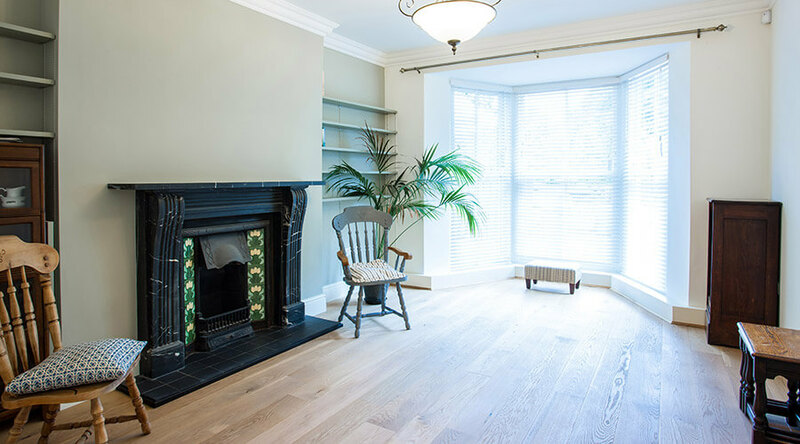 In the past, radiators have always been the obvious choice for heating a home, as it’s what everyone knows, but UFH is now so versatile it can be installed – and enjoyed – in virtually any property. An obvious benefit of UFH is the freedom from having radiators hung on the wall, which can make it frustratingly difficult to place furniture. UFH has virtually no visual impact on a space – manifolds can be hidden and thermostats operated by remote sensor if required. Even with a standard dial thermostat, only one is required in each zone, which is far less intrusive than at least one radiator in every room. It’s for these reasons that UFH is particularly well suited to open plan living. Aside from freeing up space and the unrivalled comfort, one of the main benefits of UFH is the system design that is tailored to the homeowner’s needs. Every system Nu-Heat supplies is carefully designed taking heat loss calculations, room sizes, floor coverings and how rooms are used day-to-day into consideration. There’s no guesswork with UFH – everything is calculated for you, so you know that the system will perform. Another big pro for UFH is that it really is simple to install with a clear, comprehensive instruction manual – some homeowners even lay the tube themselves and leave the plumber to pressure test and commission the system. UFH also requires less supply pipework from the boiler than a radiator system, as you only need to run a flow and return to the manifold/s, rather than to the whole radiator system, making for an easier installation. With over 60 different floor constructions available, UFH is a very flexible solution that can be installed in more or less any type of property, either throughout the whole house, on just one floor level or in a single room. Installing UFH in a new build is straightforward and it’s also very cost-effective in this scenario. A system designed and supplied for a new build property can certainly compete with radiators on affordability. 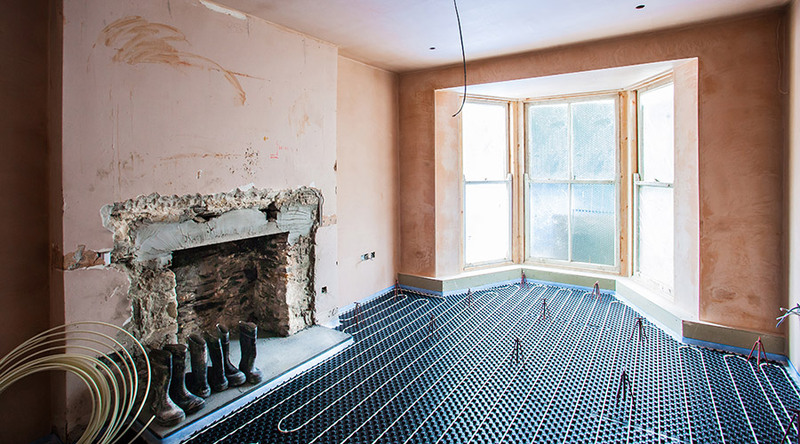 New retrofit systems that are laid over an existing floor make UFH an exciting option for renovation projects. They can be installed very quickly and cause minimal disruption to existing fixtures and fittings. You can even opt for wireless thermostats to avoid chasing wires up walls. The biggest advantage for radiators is that, at the moment, they are the norm. Every installer is familiar with how a radiator system is installed and every homeowner knows what to expect when it comes to performance. Radiators work, and will continue to work, in many properties. However, one of the downsides is that they are not suitable for open plan living. In a large open plan kitchen-dining area, there could be bi-fold doors, kitchen units and appliances, leaving just a small section of wall space for a radiator. In this case, it’s unlikely that the radiator would be able to sufficiently heat the room – there just isn’t enough wall space for the size of radiator that would be needed. With more homeowners opting for open plan living, this is a problem. Standard radiators are also at a disadvantage when it comes to their compatibility with renewable heat sources, such as heat pumps. For a radiator to heat a room, using the lower flow temperatures of a heat pump, it would have to be oversized, taking more wall space. In this type of scenario, UFH will always come out on top. Both UFH and radiators can work in the majority of projects, and it is perfectly possible to mix the two. 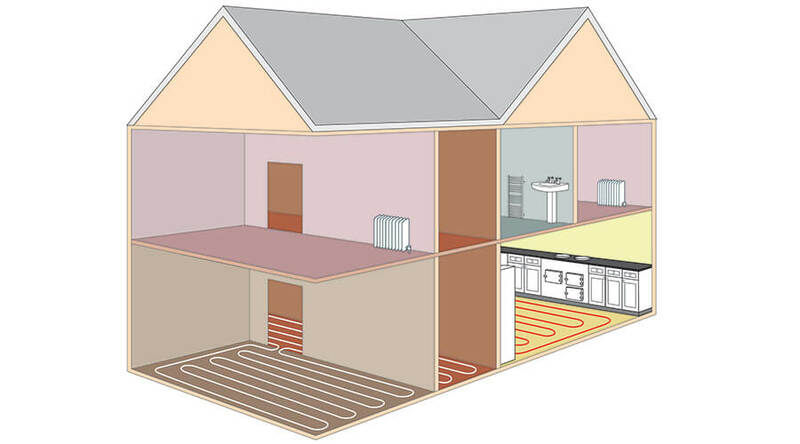 UFH is simple to install in a new build as it can be built into the fabric of the building. Open plan living is often a key feature in new build design, so again, UFH is likely to be a more desirable solution in this scenario. Radiators are also suitable for new build properties. A popular solution is often to install UFH on the ground floor and choose radiators for upstairs. Depending on the schedule, it’s worth noting that the UFH can be installed early on but often radiators are not installed until after the basic decorating has been completed. Choosing between UFH and radiators in an existing building depends on the scale of the renovation. If the boiler is being upgraded along with the whole heating system, then it’s worth considering a retrofit UFH system, such as one of the LoPro™ solutions that are quickly and easily laid on top of the existing floor. If there are plans to further extend the property in the near future and it currently has radiators, there is the choice of sticking with radiators or installing and future-proofing UFH (allowing for extra ports on the manifold). It’s also possible to create a hybrid system, with radiators in some areas and UFH in new extensions or main living areas. For either system, the addition of insulation in an older building is essential. When adding a new extension, a single pack of screed UFH is affordable, simple to install and offers considerably more benefits than a radiator system. When it comes to a renovation of a single room, it depends on how it will be used. If the property already has radiators throughout, and the new room will be a bedroom, a radiator is likely to be the cheaper and easier option for most. Kitchen and living space renovations would be more suited to UFH, freeing up wall space and offering a touch of luxury, especially if tiles or wood flooring will be used. To find out which UFH solution is most suitable for your project, visit our website or contact us on 01404 540650.